Just last week, i shared with you, at Home Design Ideas, some images of 5 brilliant buildings that will be unveiled this year. 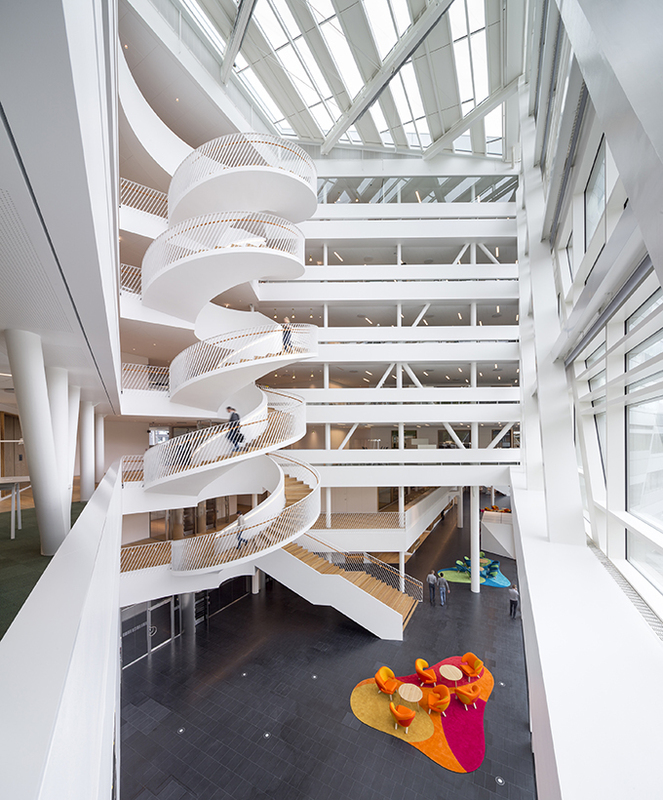 They are absolutely astonishing and they represent the best work of outstanding architects. The future of architecture is going to be brilliant. 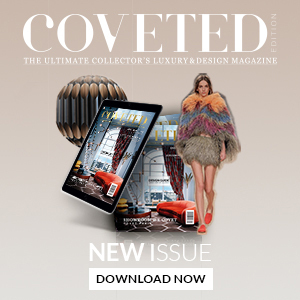 When i was doing some research for today’s post i found an exclusive blog post on Modern Home Decor that give us an inside look into a beautiful Scandinavian building designed by 3XN . It was unveiled yesterday! 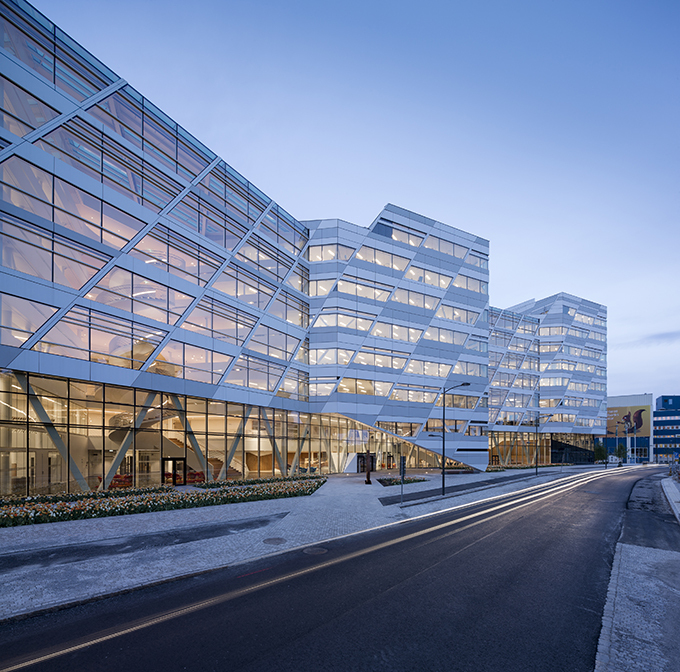 A brand new scandinavian building emerges and 2,500 employees will move into the new 45,000 m2 headquarters in the Stockholm suburb of Sundbyberg, 5 kilometres from the city center. 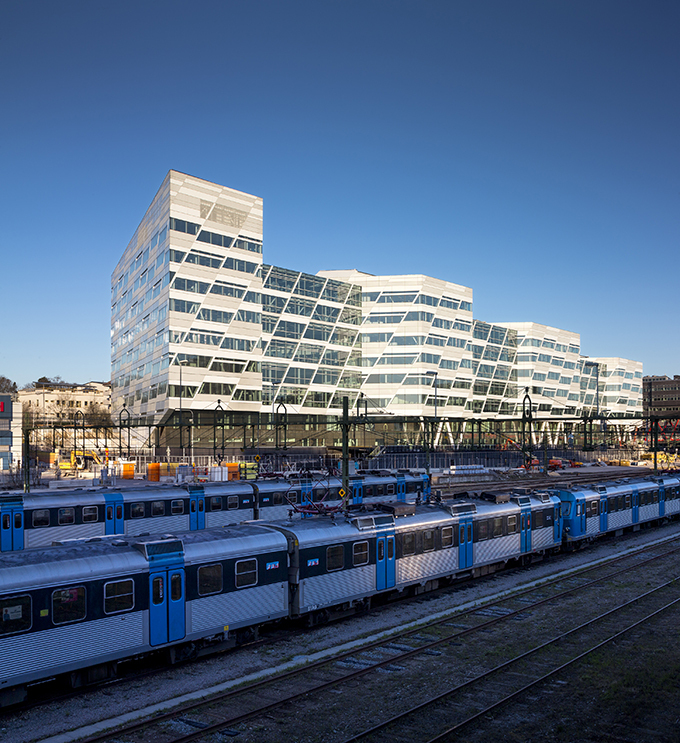 The new Swedbank headquarters will be one of Sweden’s most modern and innovative office buildings, focusing on Scandinavian simplicity, transparency and dynamic social environments. 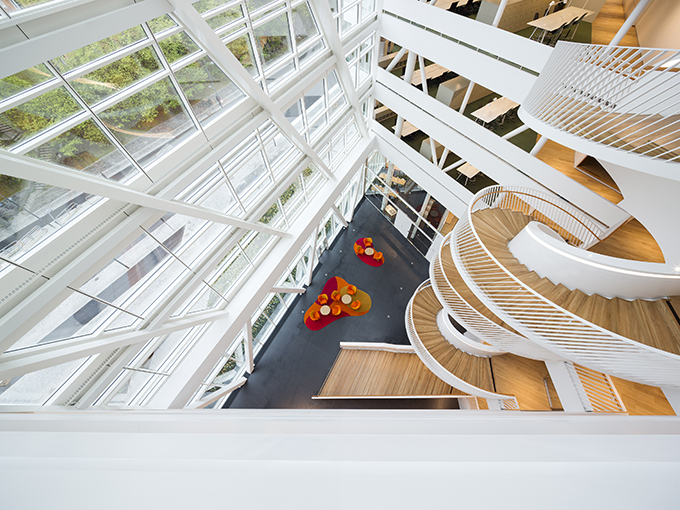 Openness, simplicity, care and durability were the four things that Swedbank asked first. 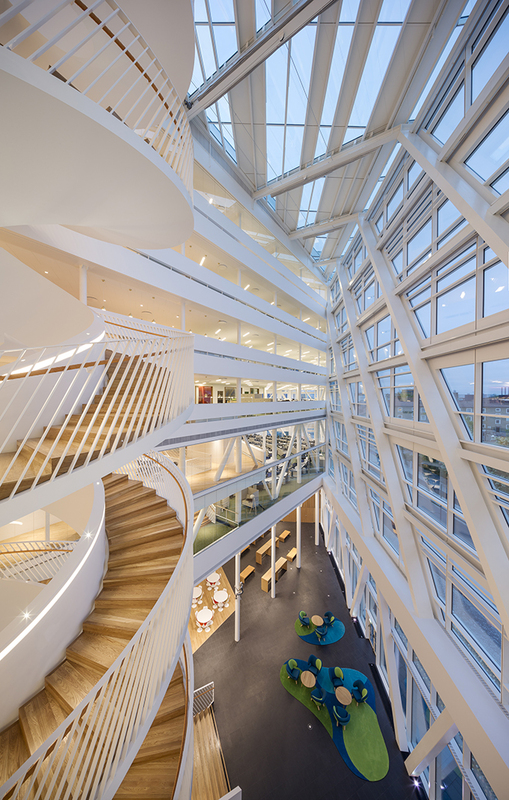 With that, 3XN designed an architecture based directly on the organization’s profile as a solid, financially sound and modern bank, interpreted through 3XN’s philosophy on behavior and architecture. 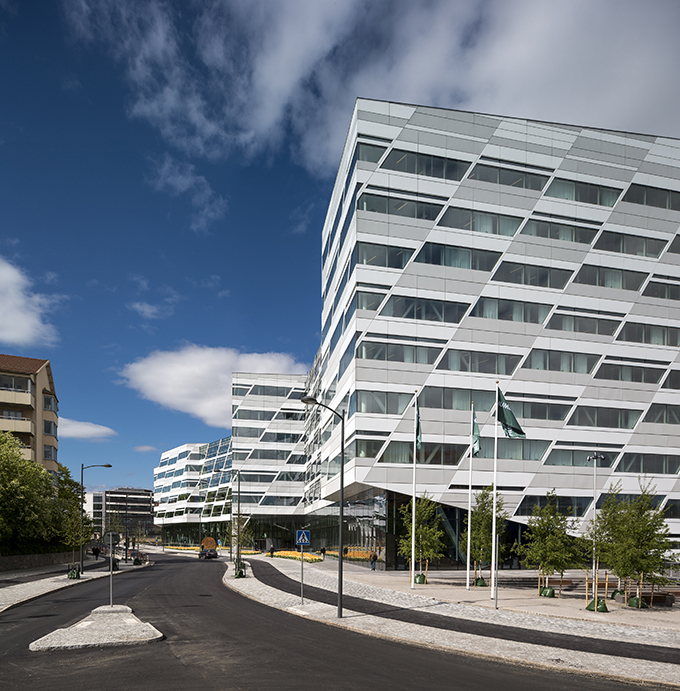 The building also boasts 3 roof terraces, to provide Swedbank staff with a recreational zone with a fantastic view making this one of the best offices in the world. 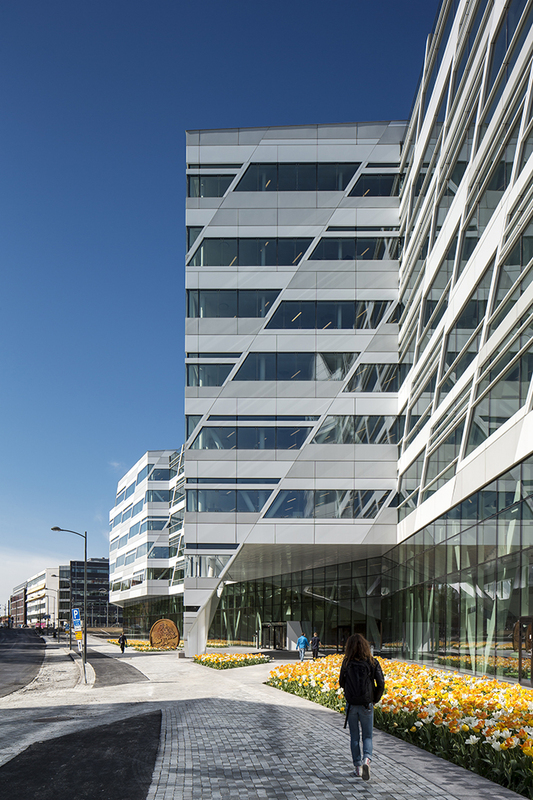 Swedbank’s sustainability strategy is highly ambitious. 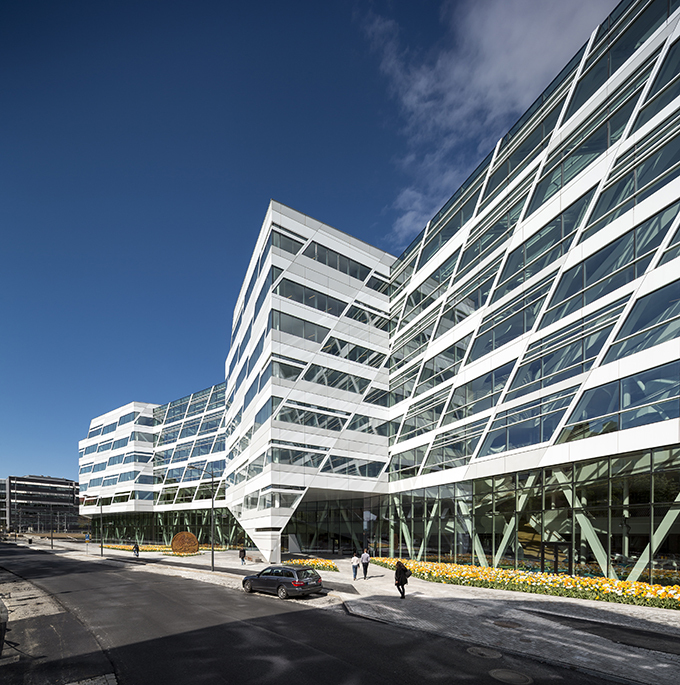 The new Headquarters has received a Gold certification from the Swedish sustainability rating system, the ‘Miljöbyggnad’. 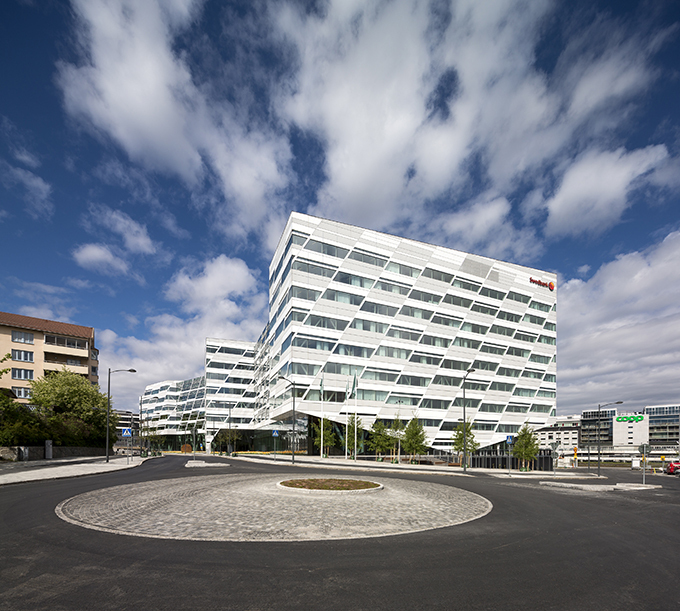 This supports Swedbank’s core value ‘care’ that furthermore covers social sustainability. 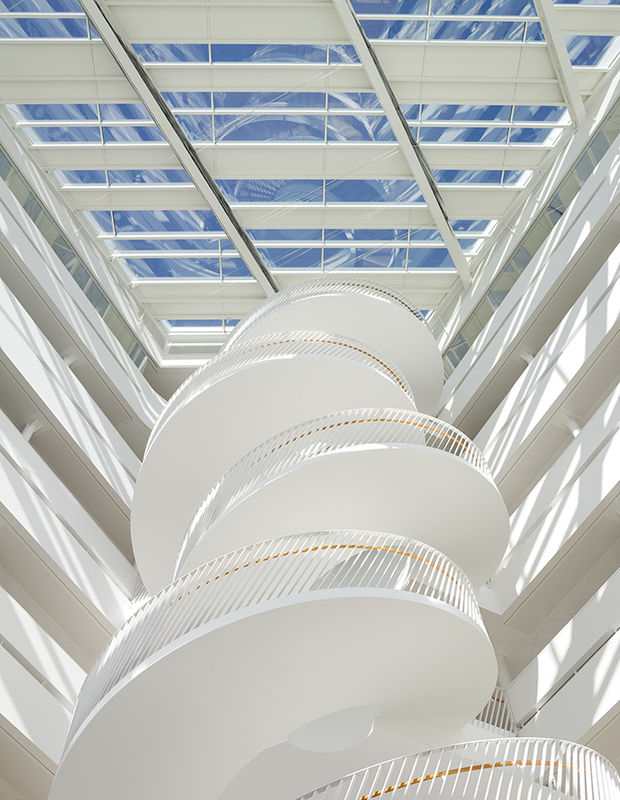 This project was possible thanks to the cooperation between 3XN and developer Humlegaarden Fastigheder, who is the client of the project. Swedbank moves in June 2nd.